Enterprise Cloud Translation Management Systems are making an ever-increasing impact on the localization industry. This is not surprising as the cloud is a natural environment for localization: translation is by its very nature a collaborative process involving project/product managers, translators, reviewers and correctors. A centralized, coordinated system is a natural constituency for such a process. The first generation of TMS (Translation Management Systems) and CAT (Computer Assisted Translation) systems that originated around the turn of the century were tied very much to the desktop. Based on the concept of a central server with desktop CAT tools, collaboration involved emailing files. This is both time consuming and error prone by its very nature and also results in little islands of isolated data: it is very difficult for individual actors in this scenario to share memories and terminology. For large projects involving many translators inconsistencies in translation could easily result with repeated text being translated differently by individual players. In addition to the above, there is the problem of installing, maintaining and supporting the desktop software as well as the issue of licenses. 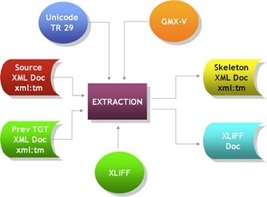 With many of these first generation TMS systems, translators are required to use a specific CAT tool and have either to purchase it themselves or have to install it and are provided with a license for the duration of the project. In an integrated computing architecture the standard Windows PC is a very expensive and inefficient tool to buy and maintain. This is not just from the perspective of any installed software but also from the aspect of backups, security and system maintenance. PCs are notoriously virus prone, and although on the face of it they appear to not require professional IT support they are very complex to maintain. Just take the standard experience: after 6 to 9 months use desktop software on Windows PCs appears to slow down significantly. This just gets worse over time. Every PC user has experienced this. Then come Trojans and viruses and DLL hell. The more software you install on a PC the worse things become. Anti-virus software is only partially good at identifying old viruses, not new ones. From many perspectives the Windows desktop is in terminal decline, overtaken increasingly by tablets and other devices. PCs are notoriously expensive to manage and maintain outside of a tightly controlled and centralized corporate organization. In an integrated collaborative environment desktop based software has many drawbacks and inefficiencies. Its time is quickly passing. The big advances in HTML standards and libraries have made the differences between individual browsers largely irrelevant, especially since the demise of IE 6. The browser is now becoming the main tool in which we interact with centralized systems: Managing your banking and utility transactions as well as shopping via a browser is now common place. It is now also time to translate and manage translation online. The traditional approach by software publishers regarding TMS and CAT software is the sale of a one off license. This usually includes free support for the first year, followed by 15% to 20% maintenance and support fees for subsequent years. In addition it is not uncommon to withdraw support for the version after 3 years and force users to buy an upgrade to the latest and best current version. There are many disadvantages to customers from this practice. The main one being a large one-off financial outlay. The other is the capital expenditure nature of the purchase. Cloud translation systems are a real break-through in this respect. First off you pay monthly so there is no large initial financial outlay. Secondly, you can vary your licenses according to demand. 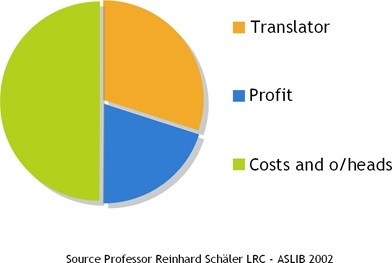 No organization has a constant demand for translation. It is usually ‘feast or famine’: one month you are snowed under with work, the next, things can be very quiet. The ability to adjust your licenses is an ideal approach: you pay for what you need. Take the instance where all of a sudden a large project comes along that requires 30 more licenses. With the traditional TMS/CAT vendor approach you are forced to buy the additional licenses, even though in two months time you will not need them. With a cloud based system you should be able to vary your licenses from month to month or even week to week according to demand. With the cloud approach your TMS/CAT costs are a variable element of your business, directly related to your sales, and not capital expenditure. In addition, as there is no software to install, you can be up and running with a system in minutes: all that is required is a browser and Internet connection. The cloud offers many advantages to the localization process. The starting point should be standards: The OASIS OAXAL (Open Architecture for XML Authoring and Localization) reference architecture standard offers an ideal standards based template for a cloud based translation system. At the heart of OAXAL are all of the existing localization standards: TMX, SRX, W3C ITS, TBX, xml:tm, Unicode and XLIFF (plus XLIFF:doc and TIPP) as well as XML itself. Designing a cloud translation process from scratch provides the opportunity to implement all relevant Localization Industry Open Standards. The use of standards is also key: TMS/CAT tool publishers have been notoriously bad at implementing and supporting standards. Take word counts as an example: the vast majority of tools each have their own proprietary way of counting words and characters. In fact a major publisher after a recent acquisition had two CAT tools producing different word counts. In addition one of the most widely adopted CAT tools had a tradition at one time of changing the word count methodology with every release. Unsurprisingly, the actual specifications of the proprietary counts are never published so cannot be verified. It is time for customers to end this nonsense by demanding support for GMX/V – the official ETSI/LIS standard for word and character counts. The server based nature of cloud translation systems is also conducive to better and more scalable design. A current cloud translation system must be multi-tenancy and infinitely scalable. 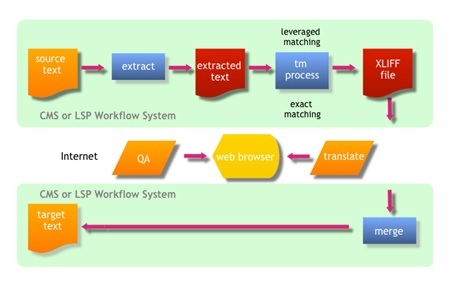 This is achieved using a SOA (Service Oriented Architecture) design where all of the individual components (analysis, extraction, translation memory management, terminology, QA and spell checking, workflow and the actual translator editor/workbench) are all implemented as individual web services based components. This provides an infinitely scalable approach where all individual components can be offloaded onto bigger and faster servers as the workload increases. Scalability must also include the ability to handle files and projects of arbitrary size: there should be no upper limits and multiple actors such as translators, reviewers and correctors must be capable of working on the same files at the same time, all sharing translation assets such as terminology and translation memory in real-time. The cloud translation process and cloud enterprise Translation Management technology must support flexible, customizable workflow management. This must include the ability to define your own workflow steps and the ability to inform all parties involved when individual steps are overdue. It is important to allow not only sequential workflow, but also concurrent steps, such as reviewers and translators working in parallel. Transition from each workflow stage to the next must be automatic once the previous step has been completed. There is very little point having a cloud translation system without the ability of translators, reviewers and correctors to work directly within a browser based environment. The recent advances in HTML and available programming libraries have made cross-browser support and dynamic features available to allow the creation of a fully feature rich, browser based translation environment. In other words a fully functional CAT translation environment for language professionals. 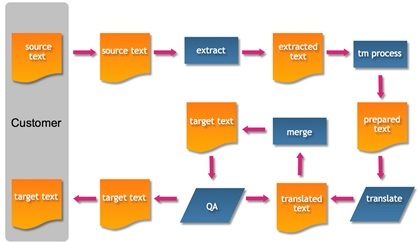 An online CAT tool must also allow multiple actors (project managers, translators, reviewers and correctors) to work on the same file at the same time all sharing the translation assets such as terminology and translation memory that is being generated dynamically. Having a browser based translation workbench has many advantages over desktop tools for the translation process. The most important is that files do not have to be emailed around the workflow process: all assets are held and available centrally in real-time. Everything is constantly backed up, there are no software updates or incompatibilities to worry about. In addition the user platform is irrelevant, so there is no reliance on one single environment: the system can be access from a smart phone, tablet, Windows, Mac or Linux device. Each of the red arrows represents manual intervention, and as well as adding to the cost, also represent a potential point of failure. Here all the processes in the green background represent totally automated processes. The only things that cannot be automated are the actual translation and review/correct stages which are done via the browser. In other words, everything is as automated as possible and centralized. Other aspects of a cloud translation process are the integration with external systems such as workflow and CMS systems. Here the centralized and web services enabled nature of cloud translation systems makes seamless integration possible, such as the automatic transfer of data for translation once it is ready as well as that of the resultant translation back into the originating system. One aspect of the cloud translation process is the ability to interoperate with other TMS/CAT tools. Here standards play a key role. The Linport initiative based on the XLIFF:doc and TIPP (Translation Interchange Package Protocol) from the Interoperability Now! 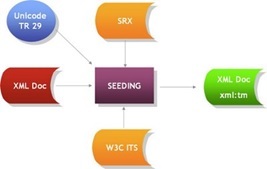 initiative enables the seamless integration with other supporting TMS/CAT tools. The original XLIFF 1.2 standard allows for too many incompatible implementations to permit true interoperability as well as not catering for reference materials and terminology in the exchange. The cloud translation process is an ideal fit for the localization of electronic documents, allowing for maximum real-time collaboration between all of the actors involved and reduced costs through automation. It also provides for infinite scalability and infinite project/file size as well as interactive cooperation and sharing of all translation assets. In addition, the ‘pay-as-you-go’ nature of enterprise cloud translation Management systems such as XTM International along with flexible licensing means that the TMS/CAT costs become a direct variable part of the whole process and there is no large financial outlay for software. The future of translation is definitely going to be cloud based as it provides the best fit for the collaborative nature of the localization process. The main technical issues holding back adoption of the cloud as a translation process, e.g. browser technology and web standards, have now been resolved. The cloud translation process is here and it is going to grow in adoption to dominate the industry as the alternatives are much less efficient. Sorry Marta, I have been neglecting the blog for quite a while, this is now updated.